Here is a poem written by Nizar Kabbani in English. I wish my mouth were a church. I wish my letters were bells. 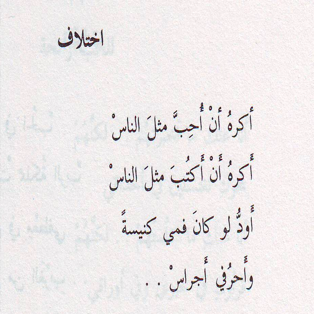 Here is the same poem written in Arabic. Try and write the poem in Arabic following the script. Remember to start on the right hand side of the page. 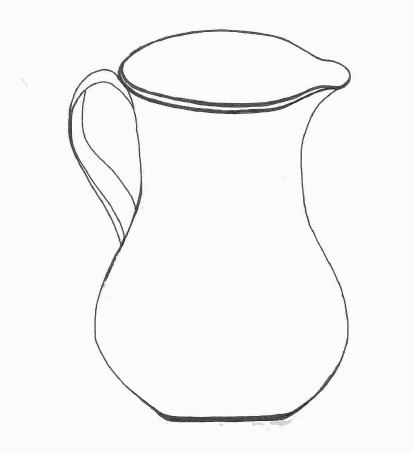 In the same way that Islamic pottery is decorated using Arabic script, try and decorate this jug using English script. For Muslims, writing is one of the most important skills. Calligraphy is a form of beautiful writing. 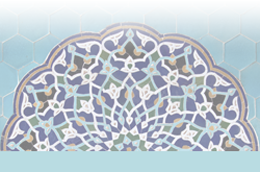 Arabic script is used for all Islamic calligraphy, and is written from right to left. People who write in calligraphy are called calligraphers. 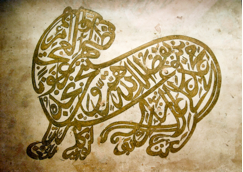 Calligraphers also design pictures using Arabic script.